Your siding needs to be in top shape so it can protect your home and enhance its curb appeal for a long time. Maintenance is important, though, because a single problem on one part of your siding could lead to bigger, more expensive issues. To keep your siding system in great shape, Twin Cities Siding Professionals offers three tips for doing this in the last installment of our two-part blog on James Hardie® HardiePlank® fiber cement lap siding. Cleaning your siding regularly goes a long way in keeping it fresh and safe from damage. Removing dirt and grime also increases your home’s curb appeal. Most manufacturers, including James Hardie, offer a maintenance guide for your new siding. Fiber cement doesn’t have a lot of upkeep requirements. Cleaning it with a garden hose, a soft cloth and a mild detergent is good enough. Other than basic cleaning, give any siding problem professional attention immediately. One loose panel must be fixed in timely manner so you can prevent water damage and pest infestation, and you can also stop any potential damage to the other panels. Twin Cities Siding Professionals can help you with this simple siding maintenance need. We can even replace your old system when necessary. The moment you notice anything wrong with your siding, call us, and we’ll solve the problem. 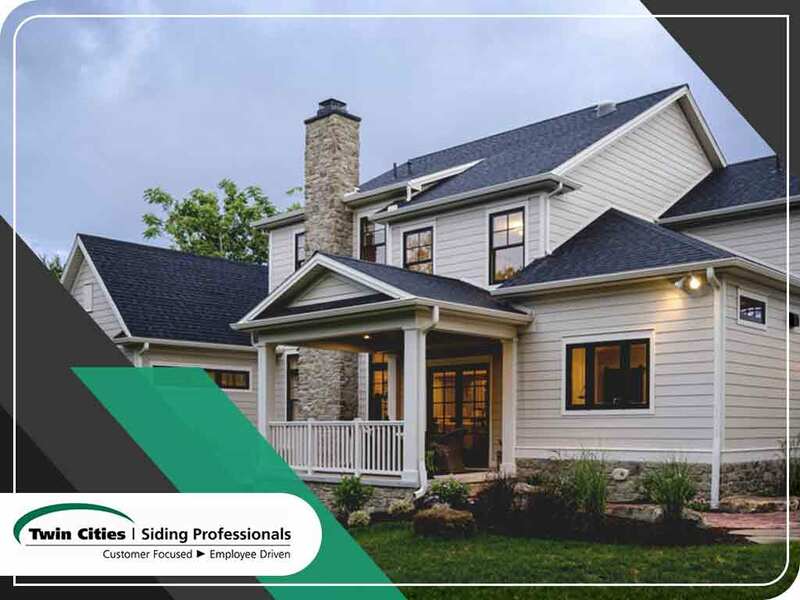 Fiber cement siding is tougher than other materials, but a particularly strong storm – especially one involving hail – is more threatening to your siding than regular weather. To make sure your siding isn’t damaged, do an inspection after the storm, and call us for repairs immediately if needed. We’ll be glad to help you repair any damage caused by the weather disturbance. Twin Cities Siding Professionals is the only company you need for your siding requirements. Call us at (651) 967-0873, or fill out this form for a free estimate.